FOREIGN LANGUAGE SKILLS? 2018 is our 25th Anniversary Year of excellence. 2018 is our 25th Anniversary Year of excellence. A cost and time-effective solution to upgrading your language skills. Live abroad for only 1-4 weeks as a guest in the family home of a qualified Eurolingua language instructor and return home speaking like a native! Choose: Arabic, English, French, German, Italian, Portuguese, Russian, or Spanish. Structured individual tuition, quality accommodation, all family meals, lots of conversation, social and cultural activities, free time. Total linguistic and cultural immersion. 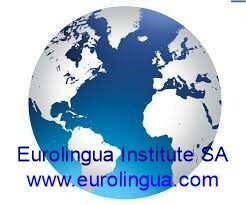 COULD YOU BECOME A EUROLINGUA INSTITUTE LANGUAGE AMBASSADOR? Are you interested in languages? Are you in contact with language learners – students, business people, retirees etc? 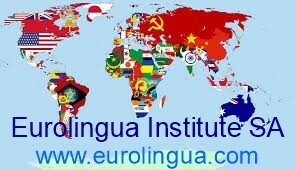 Can you represent the Eurolingua Institute (www.eurolingua.com) full or part-time in your city/region/country from your home or office for the new 2018-19 season? (Last few days of anniversary discount offer but start program anytime before 31-12-2018). Arabic, English, French, German, Italian, Portuguese, Russian, or Spanish. Arrive as a stranger, leave as a friend! Dramatically improve your language skills in only 1-4 weeks living abroad in the home of a qualified Eurolingua Language Tutor and family. 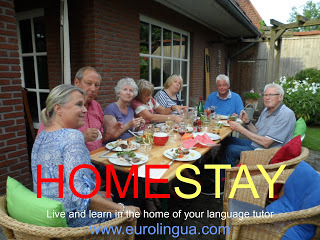 Eurolingua One-to-One Language Homestay Immersion Abroad will always appeal to a discerning niche market of language learners. We concentrate on high quality language tuition and accommodation for mature teenagers, university students, business professionals, diplomatic and military personnel, and retirees. We offer excellent customer service and a unique linguistic and cultural experience in countries where the national language is Arabic, English, French, German, Italian, Portuguese, Russian or Spanish. OISC is a well-established international school situated in a historic building in the centre of Oxford. For many years we have offered Half Term and Easter revision programmes, both school subjects and English language. OISC is accredited by the Independent Schools Inspectorate (grade one in all categories, which is “outstanding”), a member of COBIS and the European Association for International Education, and an associate member of ECIS. Oxford needs little introduction as a centre of learning with its 800-year-old University, beautiful architecture and river, centre of culture (art, music, theatre, museums). It is also a centre of activity and fun with punting on the river, music, ice skating, cinemas, restaurants, and Harry Potter film locations! A BESPOKE CONCIERGE LANGUAGE SERVICEEurolingua One-to-One Language Homestay Immersion Abroad will always appeal to a discerning niche market of language learners. We concentrate on high quality language tuition and accommodation for mature teenagers, university students, business professionals, diplomatic and military personnel, and retirees. We offer excellent customer service and a unique linguistic and cultural experience in countries where the national language is Arabic, English, French, German, Italian, Portuguese, Russian or Spanish. Prepare yourself before you leave home so that you make the most of your study abroad experience – language study, business course, internship etc. Likewise, when you return home, consolidate your language knowledge and fluency. Skype lessons are also a good way to introduce yourself to a new language you have not tried before. There are opportunities to be appointed as a Eurolingua Ambassador in your region or country. The role involves advising students, business men and women, military and diplomatic personnel, retirees and other members of your home or online communities about the celebrated Eurolingua One-to-One Language Homestay Immersion Abroad programmes worldwide. 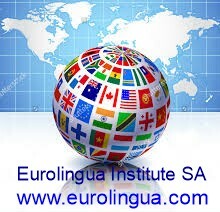 For further information, send a secure message via the online form at http://www.eurolingua.com/contacts/2-licensing-division and we will contact you. WANT TO SPEAK A LANGUAGE FLUENTLY IN 2018? English, French, German, Italian, Portuguese, Russian or Spanish.